A guarantee of profits - no system can do that! If they do, they are probably not telling the truth! Current results for the month. During the period 18-04-2019 to 26-04-2019 we are not trading due to holidays. Q. Do you guarantee profits every day? Q. How much profit can I make each day? Q. What do I get when I buy the system? Q. How and when do I receive the PDF document? Q. Is there a monthly fee for this system? A. No, this is a one time purchase. Once you purchase the system it is instantly available for use. We are providing a set of written instructions for you to use. There are no ongoing payments or subscriptions. Q. Can I use it on any trading platform? A. Any trading platform can be used as long as you have access to standard indicators. We don't use anything you can't find on a any trading platform. We use IG.com. MT4 platforms are also perfect. Q. Do you provide the indicators? A. No, you need to use the indicators that come with your trading platform, set appropriately. A. £129.99 - 13 winning trades (10pips @ £1) is all you need to pay for it. Q. Do I need to trade at specific times during the day? A. The system works well in the core trading windows of your chosen currency pair. Typically we trade from 0700-1000 (AM session) and 1300-1530 (PM session) GMT. However, the system works at all times (except during the night). In order to make sure you are profitable you need to watch any trade, however, as we insist on a 20 pip stop loss you can be sure your losses can be controlled if you need to be away. We also recommend that if you're going for quick profits, you set a LIMIT so that your trades exit automatically. Signals can happen at any time, but during the initial trading period from 0630-0730 GMT is a key time, so if you can only trade at these times, the system could work for you. Q. Do I need to be at my PC all day? A. This is not a "set and forget" system. It is a short term scalping system relies on the trader being able to enter and exit trades quickly. We recommend you are able to trade between 0700-1000 UK for the morning session and 1300-1530 for the PM session. During these times we tend to see the best results, but it does work at other times. Q. What do I need to use the system and trade? A. Basically you need a computer with internet access and an account on a trading platform. We use IG (IG Index). The trading platform is entirely your choice, but it must have access to indicators which we use as part of the system. These indicators are very standard across the industry so we're confident that any platform you use will be suitable. You then need a bank. Our recommendation is that you only trade 1% of your bank. By using just 1% for each trade you can have easily continue trading if you have a run of losses (although this will be very unusual for our system). Q. Does it work on every currency pair? A. There is no reason for it not to work on any currency pair, however it works best of those currency pairs which enter a trend daily. We recommend GBP/USD and EUR/USD. We have not tested it on every currency pair, so cannot say if it will work effectively. Q. How do the signals get generated? A. We give you a simple set of rules that you need to apply to a chart. Within a few days the system will become second nature and you will be able to quickly spot the signals. Once a signal has occurred you then enter a trade once the right conditions are met. This is all explained in detail, and with examples, in the PDF. Q. Some days don't have results, why? A. It could be for 1 of 3 reasons why a day has no results. Firstly there were no valid signals during the AM trading window. Secondly, we decided not to trade due to high volatility in the markets and therefore risk of being stopped out was too high, or thirdly we simply had the day off/on holiday! Q. There is a big gap in 2016 to 2017 in the results, why? A. The creator and owner of the system and site unfortunately retired due to ill health so no longer published results. But the system continued to provide regular profits as it does most days. Q. What if I miss a signal? A. Because our system works in trending markets, typically you will get a few signals in short succession, which will mean you have multiple chances to enter a trade and make profits. However, the longer you leave entry to a trade the higher the risk of not making a profit as the trend may reverse. The good news is the system includes some indicators which will help you judge when a trend is ending and so avoiding entering into a losing trade. Q. Does it generate EXIT signals as well? A. No, the exit point is down to your judgement. We give some basic advise on when to exit trades but this is a scalping system that works best for small regular profits. Our personal trading style means we target between 10-20 pips in the morning session, followed by 10 pips throughout the day. Q. I am new to spread bet/forex trading, is there anyother resources/training you'd recommend? Q. Are the signals generated automatically? A. No, you will need to apply the rules by looking at the chart and the indicators. You can automate the signals on your chosen trading platform if you able to, but this is quite complex and takes time to get right. We don't offer this as part of the system, nor do we offer advice on how to automate the system. Q. Do you offer a trade-copier service? A. No we don't. We like flexibility in our trading so we cannot guarantee to be trading everyday. We will report signals on the days we don't trade live with a either a standard 10 pip profit or 20 pip loss. Most days you can exceed these 10 pip profit by keeping in trades e.g. closing a % of the trade or using trailing stop losses/moving stop losses. Q. What support do I get? A. We provide e-mail support for our customers, but this is not in real time as we will be trading and will not be able to respond immediately. We are happy to review your trades for you should the system not work for you on a particular day, but we do not guarantee an instant response. We highly recommend that if you are new to trading you "paper trade" for a couple of weeks to ensure you fully understand the system. Q. Can I buy your system anywhere and still receive support? A. No. We only sell official copies through this website, and all other websites are NOT AUTHORISED. When you purchase our system through our Digital deliver Application your copy will be given a unique reference, along with you name and email. We only provide support to that email address. If you do find a copy for sale, it is likely to be in direct copyright infringement and we will take action against the publisher. Please let us know if you find such a site, we do our best to stop them. Q. If I don't make a profit do I get a refund? A. If you are asking this question, this system is not for you! But, we are very confident the system will make a profit, so if after 7 days you have not been able to make a profit by following the rules of the system we will give you a refund. We will not issue refunds without evidence that the system has not worked. However, if the system doesn't appear to be working for you, please let us know as soon as possible and we will try and help you figure out what is going wrong. Q. What's the secret of this system? A. The secret of any system is sticking to the rules. Trading can be very exciting but you need to keep a calm head and ensure you apply the rules consistently. You also need to act quickly when the time is right. Getting into trades at the right point and exiting at the right point is crucial and our system helps you do this, but a lot of the success will depend on your ability to apply the rules quickly and enter a trade at the right point. The system relies upon standard indicators to determine the current market trend and then some additional rules to signal an entry point in to the market. Q. Should I just use this system and nothing else? A. 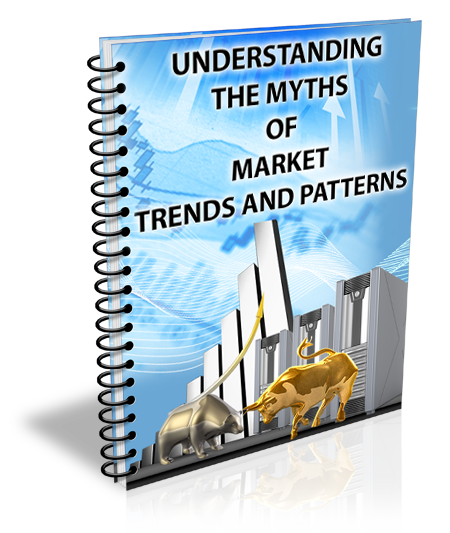 This system can be used with other systems, methods, and on-line traders. It is a perfect addition to any portfolio of trading systems you may use. If you use just this system, it will work well. If you are a novice this is a great starter system and we would recommend you do research to increase your trading knowledge and strategies. If you are are experienced, this system may help. If you are a professional trader, you probably won't learn much....unless you're not making profits! If you are following an on-line trader, this system may help you understand more what is going on and why trades are happening, they may even stop you entering unprofitable trades. Q. Should I stop using my existing signal source or on-line trader? A. No. We don't recommend that at all. We know of many on-line traders who are very good. We also know of some signal services that work well too. A. We're not aware of one, but that's what you'd expect us to say. We are selling a manual system, which is a set of rules to help you enter profitable trades. Profits depend on many factors outside of our control including the market, financial announcements, world events etc... If this system was the answer to guaranteed profits, we would not be trading today. Trading on any market is the same as betting, the favorite doesn't always win. But we believe this system will help you profit more, more of the time. Q. Why don't you have testimonials? A. We have seen many web sites with testimonials from numerous people with pictures of bank balances etc... That's great but anyone can make those up. Our system works, and works well. We don't need to show these. We have developed this system for serious people who want to trade. No gimmicks allowed. A. We are a couple of traders who have been using this simple system to make profits. We've developed the rules to be as simple as we can make them, whilst making them profitable. We have tried to make our system as risk adverse as we can, so that we limit losses, however, that does mean we don't always make big profits on all market trends. What you will achieve are small profits on a regular basis. Q. How much money have you made from this system? A. We could tell you any amount to impress, but we're not going to. The amount you make will depend on the amount you trade and the amount you can risk. We make a good living on 10-20 pips a day and most days we achieve this using this system. But it takes concentration and control. We do have losing days, but not weeks. Not every day will provide the right conditions to make a profit and unfortunately there's nothing we can do, so on good days we try and make as much as we can to compensate for the quieter/losing days. Your capital/money is at RISK!!!! Spread betting carries a high level of risk to you capital. You should only speculate with money you can afford to lose. Spread betting requires an initial deposit and losses can exceed your initial deposit! This website and system does NOT constitute investment advice!!!! Please ensure you understand the risks associated with spread betting may not be suitable for everyone. The 4expipsystem is a purely a guide on which you need to apply your own judgement. Be aware FOREX markets are very volatile and are influenced by real-time economic data and world/political/business events. You are recommended to ensure you understand key economic data by visiting a site like www.forexfactory.com on a daily basis. Before you buy we need you to understand some basic principles. If you can answer NO to any of the statements below, this system is NOT for you and we recommend you do not purchase. I will follow the rules of the system? Yes or No? I am prepared that to accept that some of the trades I make using this system may lose me money, but this will always be limited by a STOP LOSS? Yes or No? I am going to be patient and not exit trades too quickly as I understand it could take up to a few hours for a trade to reach profit? Yes or No? I understand that I am purchasing a document which is a combination of information, knowledge and experience which has been brought together in one document to form the 4expipsystem trading system? Yes or No? If you've read all the information and the FAQ's and ready to buy our system, simply click here and you will be taken CLICKBANK payment service which will provide instant access to the system upon payment. PLEASE DO NOT PURCHASE THIS SYSTEM if you are unable to trade during peak trading hours. It is a 5 minute scalping system which requires you to be able to act quickly. It is not an automated trading system. DISCLAIMER : CLICKBANK® is a registered trademark of Click Sales, Inc., a Delaware corporation located at 1444 S. Entertainment Ave., Suite 410 Boise, ID 83709, USA and used by permission. ClickBank's role as retailer does not constitute an endorsement, approval or review of these products or any claim, statement or opinion used in promotion of these products.